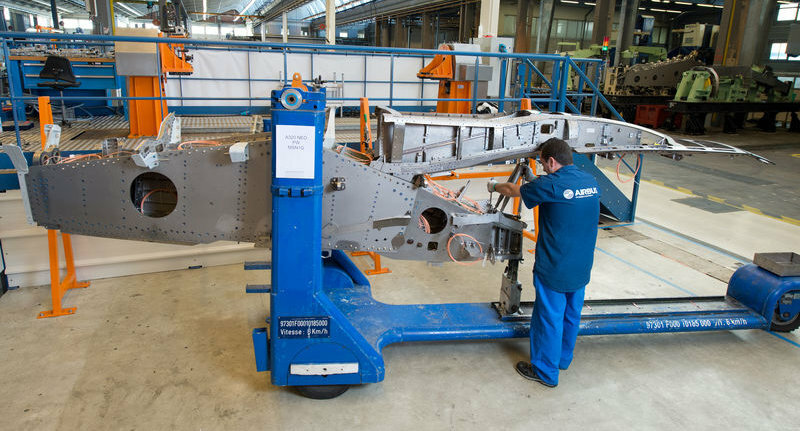 Airbus has assembled the first major airframe component assembly: the engine pylon for the first A320neo to fly. The pylon was assembled at the dedicated pylon facility in St Eloi in Toulouse. In parallel with this pylon construction, other major NEO components and subassemblies will shortly be taking shape in factories across various countries. For example, in Hamburg the centre wing-box will soon arrive from Nantes to be integrated in the fuselage, and also the rear fuselage will begin assembly there. In St. Nazaire, the forward fuselage will start assembly in January 2014. The Pratt & Whitney PW1100G Engine, which will power the A320NEO (New Engine Option) family, first flew on the 15th of May 2013. The Winglets, referred to as Sharklets by Airbus, are already mature and flying attached to most recently produced A320 aircraft, henceforth known as A320CEO (Classic Engine Option) family. There will be no significant changes to the flight deck avionics and airframe. Final NEO assembly is expected to start in the spring of 2014, followed by the aircraft’s first flight planned next autumn. 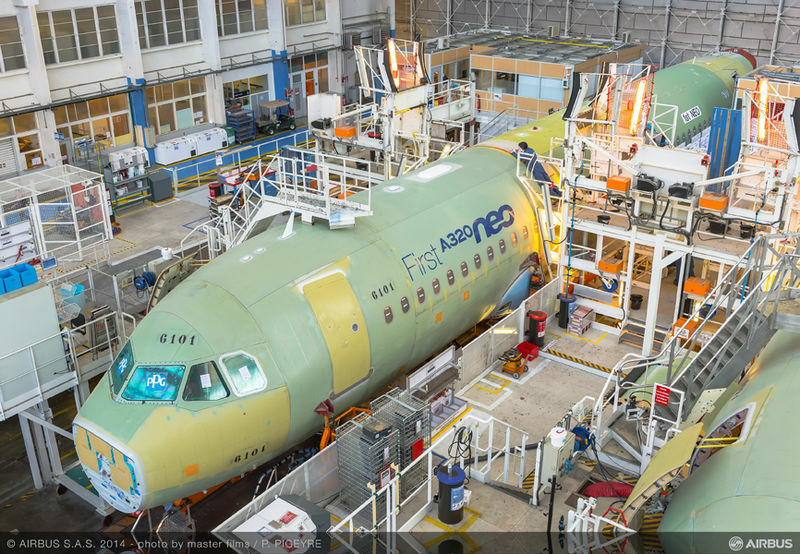 Airbus states that the assembly of MSN5, the fifth and final member of the A350 XWB flight test fleet in the test flight campaign is now underway with the fuselage joining process. 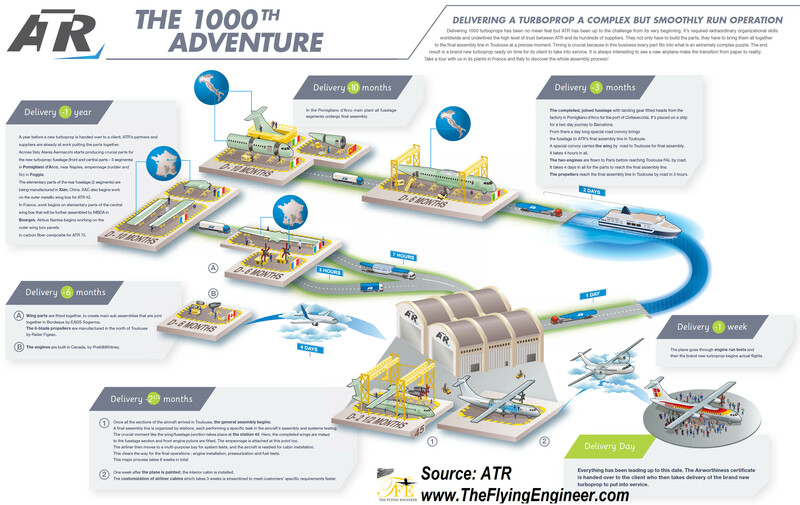 This follows the recent arrival of the three fuselage sections at the A350 XWB final assembly line (FAL) in Toulouse, France. MSN5 is the second of the A350 flight test aircraft that will feature a passenger cabin. MSN 2 and MSN 5 will have the cabin fitted, where Airbus will put passengers on board, with cabin crew. It is for the first time in the history of Airbus that so early in the campaign 2 aircraft have been dedicated to the cabin. Earlier, aircraft would be dedicated about 2 months before the entry into service. Associated with that are delays, a lot of complaints from passengers, and a difficulty of entry into service. This was witnessed in the A320 and the A340 programs. This aircraft will fly for the first time in Spring 2014 and will be used essentially to perform cabin related flight tests. It will also participate in the Early Long Flights where the “passengers” are Airbus employees. This allows the cabin and related systems to be submitted to near realistic operations in order to ensure a mature cabin at entry into service. In addition, MSN5 will carry out Route Proving flights to demonstrate to the certification authorities that the aircraft performs perfectly in airport operations. To date the two A350 XWB test aircraft, MSN1 and MSN3 have clocked up over 500 flight test hours in more than 100 test flights. The A350 XWB has already won more than 760 firm orders from 39 customers worldwide. First delivery will be to Qatar Airways in the second half of 2014.